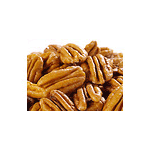 Pecans are probably one of the healthiest nuts you can eat in addition to others like almonds, walnuts, and cashews. 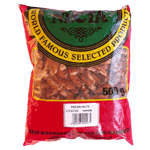 First, Pecans are loaded with over 20 different vitamins and minerals including vitamins E, B, B1 and A, calcium, folic acid, phosphorus, potassium, oleic acid, magnesium, protein, thiamin and zinc. In addition to being loaded with vitamins and minerals, pecans are also packed with age defying antioxidants. Studies performed by the USDA have shown that pecans are in fact the most antioxidant-rich tree nut. Product of South Africa.